Santa and Mrs. Claus will be at Downingtown’s Good Neighbor Christmas. Downingtown has changed a lot over the years but is still a neighborly town. It always been a neighborly town – so neighborly that it has an annual event schedule that includes Good Neighbor Day each summer and Good Neighbor Christmas (downtown Downingtown, http://www.dtownchristmas.com) every winter. On December 9, Downingtown will host its annual Good Neighbor Christmas event beginning at 2 p.m. Activities include free refreshments, live entertainment by Walt Kinsey and Friends, Octorara Sixth Grade School Band and Touch of Class Dance Studio. 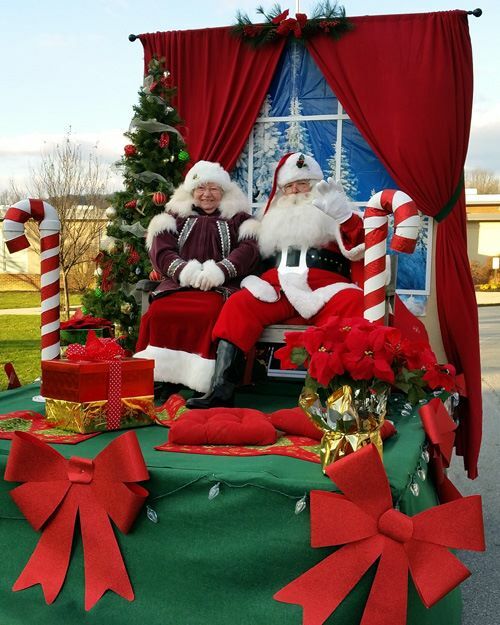 Downingtown Good Neighbor Christmas includes a variety of events, but the main focus is always on the Downingtown Christmas Parade which will start at 3 p.m. on Saturday. The parade will have its main route along Lancaster Avenue. There is no rain date. Some of this year’s participating bands will be Downingtown Blue and Gold Marching Band, Bishop Shanahan High School Marching Band, Chester County Emerald Society Pipe Band, Penn Dixie Band, Lukens Band, and Duffy String Band. Leading the parade will be Downingtown native/West Chester University graduate vocalist Sarah Diamond, 2017 Citizen of the Year for the Downingtown-Thorndale Regional Chamber of Commerce Jack Hines, Jr. and Grand Marshall James “Hank” Hamilton. Coatesville will be the site of a special Christmas event on December 8 from 5-8 p.m. — the “Holiday Open House” at the National Iron and Steel Heritage Museum (50 South First Avenue, Coatesville, 610-384-9282, www.steelmuseum.org). Visitors will be able to stroll through candlelit grounds, enjoy holiday refreshments and listen to live music performed by carolers and the Lukens Band. They can also tour lavishly-decorated, historic buildings, shop at the museum store and check out an interesting model train display. Kennett Square (http://historickennettsquare.com) celebrates the holidays all month. The 2017 Kennett Square Holiday Village Market will be held at The Creamery of Kennett Square (401 Birch Street, Kennett Square) on December 9 and 10 from 11 a.m.-6 p.m. each day. Other special activities include an ice sculptor on Saturdays, photos with Santa on Sundays, wreath-making workshops, live reindeer on Sundays and live music. Another way to get in the holiday spirit in Kennett Square is by taking a special seasonal ride. Horse-drawn carriage rides will be offered in downtown Kennett Square on December 3, 10 and 17 from noon to 3 p.m. The rides begin on State Street at Union Street and tickets are $5. 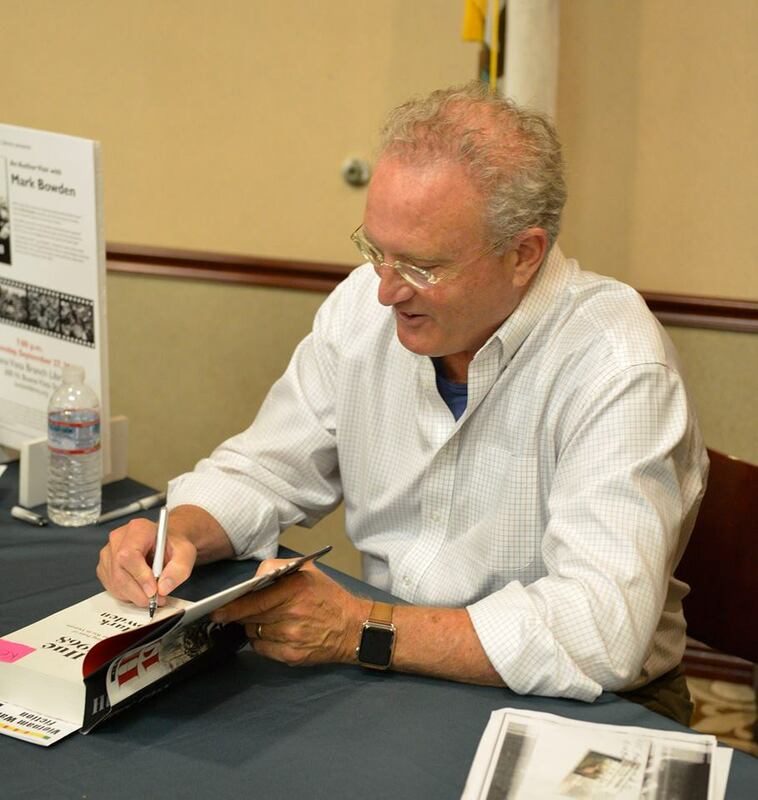 On December 9, the Kennett Library (216 East State Street, Kennett Square, 610-444-2702, kennettlibrary.org) will host an “Author Signing” featuring Mark Bowden from 10 a.m.-noon. Bowden, who is the bestselling author of “Black Hawk Down: A Story of Modern War,” will discuss his new book, “Hue 1968: A Turning Point of the American War in Vietnam” and will sign copies of the book which will be available for sale with all proceeds going to the Kennett Library. Santa Claus doesn’t always travel by sleigh and arrive on the scene by coming down chimney. 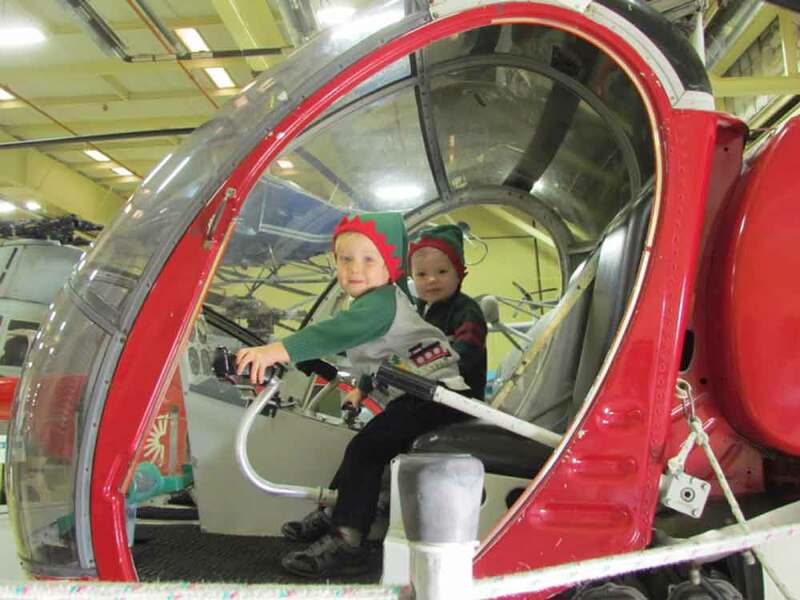 On December 9, Santa Claus will drop in using a totally different method when he visits the American Helicopter Museum (1220 American Blvd., West Chester, 610-436-9600, www.helicoptermuseum.org) for “Santa Fest.” Children will be able to stand outside and watch with amazement when Santa arrives in a helicopter at 11 a.m.
Activities get underway at 10 a.m. with face painting and cookie decorating and then Santa and Mrs. Claus land at 11 a.m. accompanied by one of Santa’s very special elves. Inside the museum, children will also be able to enjoy refreshments and Christmas activities — including visiting with Santa and telling him what items are on their holiday wish list. Kids will have the opportunity to make a helicopter ornament to cheer our Cheerful Chopper Christmas Tree and take one home for their tree. They also can pet Sawyer the Golden Retriever who is one of Paws for People’s therapy dogs and enjoy the music of strolling musicians. This year’s theme is Super Heroes, so kids can come dressed as their favorite Super Heroes and win a prize. They can make ornaments for the museum’s Super Hero Christmas tree and take an ornament home. Mature guests can feel free to wear their favorite or favorite “ugly” Christmas sweaters. Other activities include a Christmas movie continuously playing in the theater, music by Makin’ Music, and mini cupcakes and water to enjoy. Petey Possum’s Hangout will sell cute and interesting educational gifts. Admission is $10 per person and includes a photo opportunity with Santa. As an added attraction for the entire family, helicopter rides will also be available throughout the day — weather permitting. Tickets for the ride are $60 per person. On December 9, the Schuylkill Canal Association will present a special “Holiday Luminaria” from 6-9 p.m. at Lock 60 at Schuylkill Canal Park (400 Towpath Road, Mont Clare, 610-917-8030, www.schuylkillcanal.org). Visitors will be able to step back in time to a Dickens’ holiday scene, as they enter the beautifully-decorated Locktender’s house. Guests can sing along with the joyful music played by local musicians and partake in holiday treats and hot cider. And for the little ones, Santa Claus will be accepting visitors between 6:30 and 7:30 p.m. The event will be cancelled only if there is a steady downpour of rain or snow. The magnificent light display is even more mystical if there is a slight drizzle, misty fog or a few inches of snow, truly creating a beautiful holiday scene. All are welcome. A donation of $1 or more will be gladly accepted. Ample parking is available at Lock 60. 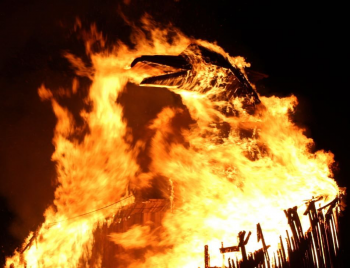 Phoenixville’s annual Firebird Festival (Bridge Street, Phoenixville, www.firebirdfestival.com) is set to blaze again this weekend. Phoenixville will celebrate the arrival of the solstice with a special event on December 9 with festivities slated to get underway at 3 p.m. on Bridge Street. The celebration will focus on the burning of a Firebird (in this case, a wooden bird and not a high-powered sports car). Also known as the Phoenix, the Firebird is a centuries-old symbol of rebirth and regeneration. The highlight of the event is the lighting of the Firebird. The free event will feature a “Crafts Bazaar” and a variety of live entertainment including The Assorted Lunatics, River Barry, Stephen DiJoseph, Blanko Dave, NiIC the Singing Dog, Smoke and Mirrors, Joe Kenney Trio, Younger Than Charlie, Whiskeyhickon Boys, Michael De Salvo Band, House Plant, sans Blix, Danielle and Jennifer, The Uninvited, Chelsea Sparr, The Barn Swallows, Dirty Soap Blues Band, The Cozy, DJ Black Jack Shellac, Gypsy Funk Squad, Jake Fleming, and Sam Schmidtthuber. At 8 p.m., there will be a pageantry parade featuring drummers, dancers, giant puppets and the torch that lights the bird. At 8:15 p.m., it will be time for the lighting of the Firebird. 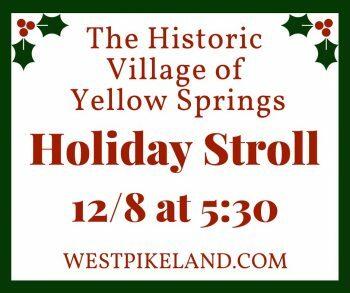 The Historic Village of Yellow Springs (Yellow Springs Road, Chester Springs, 610-827-7414, http://yellowsprings.org) will host its annual Holiday Stroll on December 8 from 6-8 p.m. The evening begins at the Chester Springs Painting Studio where the West Pikeland Parks and Recreation Department will welcome everyone with music, wonderful crafts for the children to make, face painting and delicious snacks. The Baroque Musical Ensemble will perform holiday carols here and throughout the village. Visitors can stroll across to the Lincoln Building where the Yellow Springs Art Show Poster Competition Exhibition is held and enjoy wine and refreshments at the opening reception from 6-8 p.m. Also, fine arts and crafts will be available for sale in the Lincoln Galleries. The Chester Valley Dance Academy will perform its holiday celebration at The Washington followed by the arrival of Santa at 6:30 p.m. Santa will have a gift for each child as he makes note of the long lists of wishes for the holiday. The Chester Springs Library will be open and ready to welcome guests for the Holiday Story Time. At the Township Building Cultural Center, SALT Performing Arts is presenting its “Christmas Cabaret Evening.” Guests can bring their own food and drink for a night of singing and dancing to the greatest holiday classics. Tickets are required – go to info@saltpa.com. The Yellow Springs Holiday Stroll is open free to the community. 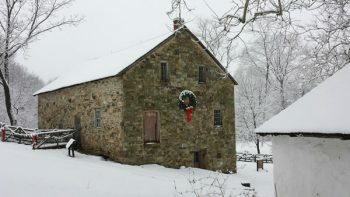 On December 8, the Mill at Anselma (1730 Conestoga Road, Chester Springs, 610-827-1906, www.anselmamill.org) will offer “Christmas Lantern Tours” from 4:30-6:30 p.m. The Mill, which was built in the 1740s, has been decorated for the holidays and is ready for an old-fashioned winter event. The site’s expanded holiday gift shop will be open throughout the event. On December 9, it will be time for “Santa Visits the Mill.” The big guy in the red suit will be on site from 10 a.m.-4:30 p.m. to welcome kids of all ages and hear what their holiday wishes are. December 9 is also one of the site’s “Milling Demonstration Days.” Special technology tours will be available that focus on how different parts of the mill works. Visitors can meet the miller and hear him talk about how the gears work and what they do. There are also hands-on interactive activities for the children as they sift flour and operate a pump on a smaller water wheel. Tickets are $5 for adults, $4 for seniors and $3 for children (ages 4-14). 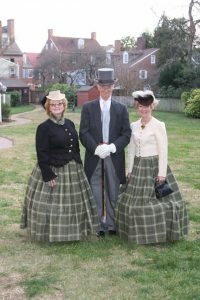 On December 9, Historic Sugartown (609 Sugartown Road, Malvern, 610-640-2667, www.historicsugartown.org) will present “A Sugartown Christmas”. The event, which runs from 11 a.m.-3 p.m., will have a Victorian flavor throughout. Visitors can learn about Victorian holiday traditions as they move around the village. Youngsters will be able to decorate gingerbread houses and cookies and make take-home Victorian ornaments. They can also visit with Santa at the c. 1805 William Garrett House and enjoy holiday treats and hot cocoa. Vendors and special exhibitors at this year’s event will be local authors Iris Gray Dowling and Robyn Young, Barretta’s Inc. Soap Factory, The Hues of Murky Blue, Marziani Handmade Jewelry, and Simpson House Tea Room. Admission is $6 for children and adults and free for children (two and under). 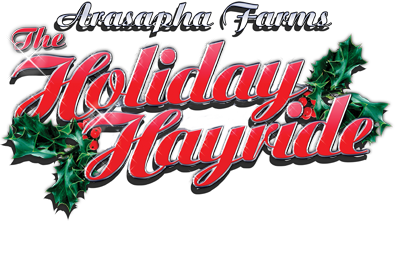 A fun — and maybe a little chilly — way to celebrate the holidays is to go on a “Holiday Hayride” at Arasapha Farm (1835 Middletown Road, Gradyville, 610-459-2944,www.holidayhayride.com). Guests will ride on sound-equipped hay wagons through a six-acre holiday wonderland featuring huge light displays, decorated trees and buildings, a variety of Christmas scenes, live reindeer and a beautifully animated Santa’s workshop. The hayride last about 20 minutes and is choreographed with all the favorite songs of the season. After the wagon ride, guests are encouraged to gather around the bonfire to enjoy hot beverages. There also will be opportunities to have pictures taken with Santa and check out the live nativity scene that features real animals and actors. And, kids can take a ride on the Arasapha Express — a kiddie train ride through light displays and tunnels. 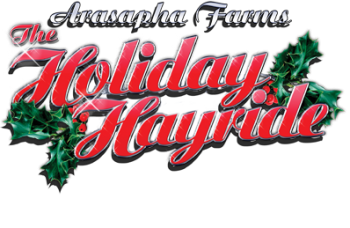 Arasapha Farm is featuring its “Holiday Hayride” on December 8-10 and 15-23 from 5:30-8:30 p.m. each night — weather permitting. Tickets are $15 for adults, $12 for seniors and $10 for children (ages 2-8). Train ride tickets are $5. Pictures with Santa are $15. On December 9 and 10, the Valley Forge Kennel Club, Inc. will host the annual Valley Forge Dog Shows at the Greater Philadelphia Expo Center (100 Station Ave., Oaks, 484-754-3976, http://www.valleyforgekc.org). 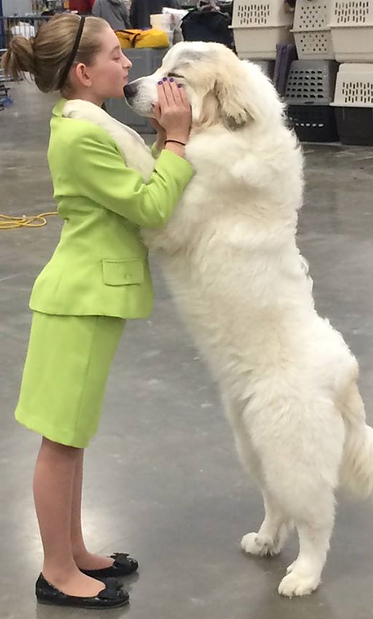 The Valley Forge Kennel Club, Inc. will host two all-breed dog shows with totally separate competitions each day featuring “National Owner-Handled Series,” “4-6-month Beginner Puppy Competition,” “Junior Showmanship,” “Obedience Trial (open to All-American dogs), two “Rally Obedience Trials.” There also will be a variety of health clinics. The event will run from 8:30 a.m.-4:30 p.m. each day. Admission either day is $10 for adults, $5 for children (ages 4-15) and free for children (3 and under). On December 9, the Independence Seaport Museum (211 South Columbus Boulevard, Philadelphia, 215-413-8655, phillyseaport.org/lights) will present its annual “Parade of Lights” along the Delaware River near Penn’s Landing starting at 5:30 p.m. The lighted boat parade features Philly’s working port, with tugboats and other vessels decorated in lights. Before the parade, spectators can spend the day inside the Museum for holiday activities and entertainment. Museum visitors will get the best view of the parade from the second-floor terrace overlooking the Delaware River. Some of the event’s attractions are Santa’s “Workshop on the Water” (to make holiday ornaments and gingerbread boats), live music by a local high school choir, a lighted model ship display in the Ship Model Shack and the “Silver Ships Display,” a holiday tradition featuring dozens of tiny silver ships from the Museum’s collection. Activities and entertainment are included with admission. Admission to the museum costs $16 for adults and $12 for seniors, children, students and military. This weekend is also time for several similar theatrical presentations — not on stages but rather in churches and in a museum. Every year, this is the weekend that highlights Saint Lucia Day festivities. There are two churches in the area that are presenting interesting Lucia Fest pageants this weekend. Both have the same name — Gloria Dei Old Swedes’ Church. At Gloria Dei Old Swedes’ Church (Delaware Avenue and Christian Street, Philadelphia, 215- 389-1513, www.Old-Swedes.org), the 2017 Lucia Fest will be held on December 8-10. At Gloria Dei Old Swedes’ Church (606 Church Street, Wilmington Delaware, 302- 652-5629, www.oldswedes.org), the Sankta Lucia Celebration is scheduled for December 10. Lucia is a Swedish festival that features a Lucia procession with traditional songs and dances. Lucia, wearing a white gown and a crown of candles, leads the procession, followed by girls dressed in gowns who act as her attendants. Boys also join the festivities as starboys. At Gloria Dei Old Swedes’ Church in Philadelphia, a number of Swedish traditions of the holiday season are woven into a colorful pageant that is presented in a church building constructed by Swedish colonists in 1699-1700. The climax is the entrance of “Santa Lucia”, who was a martyr in the fourth century. The Lucia Fest & St. Eric’s Fair at Old Swedes’ Church will be held December 8 at 6 and 8 p.m. and December 9 and 10 at 2, 3:30 and 5 p.m.
Before, during and after each of the presentations, the St. Eric’s Fair, a Christmas bazaar that specializes in Scandinavian imports, is held in the Parish Hall that adjoins the Church. Tickets for the Lucia event are $13 for adults and $7 for children (ages 11 and under). Gloria Dei Old Swedes’ Church in Delaware will present its traditional celebration of the Feast Day of Sankta Lucia on December 10 at 1 p.m. and again at 3 p.m. The Delaware Swedish Colonial Society, which sponsors the annual December celebration, will also have its Hendrickson House Museum open to the public. The museum, which has been decorated for a Swedish Christmas will be open for tours and shopping from noon-5 p.m. The doors of the church will open 30 minutes prior to each performance. Tickets for the 2017 Sankta Lucia Celebration are $10 for adults and $5 for children. The free event, which is celebrating its 17th anniversary this year, is sponsored by the New Castle Visitors’ Bureau and the New Castle Presbyterian Church. Activities include tours of many historic homes decorated for the season, museum tours, events at the New Castle Court House (part of the First State National Monument) and musical performances and entertainment throughout the town. The New Castle Presbyterian Church will hold an all-day sale of crafts, used books, homemade soups candies, baked goods and breads. The final event of the day’s festivities will begin at 5 p.m. with the town’s annual tree lighting ceremony and caroling in the Market Square. All proceeds generated by the New Castle Presbyterian Church will be donated to support the Friendship House, Inc. of Wilmington, Delaware, ministry to the homeless. 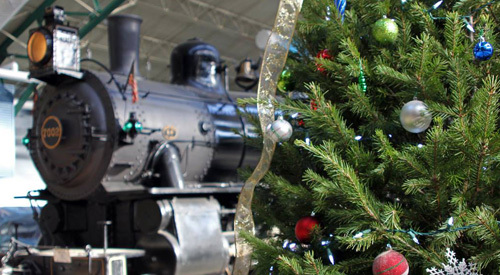 On December 9, the Railroad Museum of Pennsylvania (Route 741, Strasburg, 717- 687-8628, www.rrmuseumpa.org) is hosting its annual “Home for the Holidays” event from 9 a.m.-5 p.m.
Costumed interpreters — engineers, conductors, ticket agents, and railroad passengers –will recreate scenes of holiday travel from the past. Visitors will also be able to ride the Museum’s Cab Simulator. Children will be able to send a message to Santa Claus with the help of a railroad telegrapher who will send their personal telegrams from Steinman Station to the North Pole. And, they can visit with Santa in person at the Steinman Station passenger depot. Cookies and hot chocolate will be offered in the Museum lobby. There will be hands-on activities in the Stewart Junction railway education center for rail fans of all ages. There will also be live holiday music performed by the band Elite Brass from 12:30-2:30 p.m.
Tickets are $10 for adults, $9 for seniors and $8 for youth (ages 3-11). The rail line will also present “Christmas with the Conductor” on December 9. A costumed conductor will welcome passengers on one of the Railroad Museum of Pennsylvania’s historic coaches for a special reading of a holiday classic story. Kids will be able to create a take-home craft in Jack Frost Station. And, each child will receive a small bag of goodies. Advance registration, with a $10 per child fee is required. The primary travel plans for Santa Claus include riding in parades and traveling by sleigh. But, these are far from the jolly old guy’s only means of transportation. He also makes visits using a variety of modes such as helicopters, horse-drawn carriages, fire trucks, open-air convertibles, speed boats, hot air balloons and trains. The special “Santa’s Express” trains (which feature heated cars decorated for the holidays) will run on December 9, 10, 16, 17 and 23 at 11 a.m., 1 and 3 p.m. There will be additional departures at 5 p.m. on December 10, 11, 17 and 18. Adult fare for the West Chester Railroad trips is $24. Tickets for children (ages 2-12) are $17 while toddlers (ages 9-23 months) get to ride for $7. Tickets for these trains, which run now through December 24, are $19 for adults, $18 for senior citizens and $17 for children. The Strasburg Railroad will also be running its “Night Before Christmas” train on December 7, 8, 14, 15, 21 and 22. Tickets for rides on the Strasburg Railroad are $19 for adults, $13 for children (ages 3-11) and $4 for toddlers (under age 3). The New Hope & Ivyland Railroad (32 Bridge Street, New Hope, 215-862-2332, www.newhoperailroad.com) is operating its “North Pole Express” now through December 31. Tickets are $49.95 for adults, $39.95 for children (ages 2-11) and $12.95 for toddlers. It is approximately a two-hour round trip for any of the train excursions. Tickets are $50 for adults, $45 for children (ages 2-12), $40 for seniors (65 and older) and $6 for toddlers (under 2; must be held; no seat). The Middletown & Hummelstown Railroad (136 Brown Street, Middletown, 717-944-4435, www.mhrailroad.com) will be running its “Santa Surprise Trains” on December 9, 10, 16, 17 and 23 and its “Polar Bear Express” on December 10, 15, 16, 17, 22 and 23. Santa Claus will have a special present for all kid riders. Fares for the ride are $17 (ages 12 and older), $13 (ages 2-11) and $4 (under age 2 and on lap). One of the most elaborate model train layouts in the Delaware Valley can be found at the Morris Arboretum (100 Northwestern Avenue, Chestnut Hill, 215-247-5777,www.business-services.upenn.edu/arboretum/index.html). The popular Garden Railway Display that has become a summer fixture at The Gardens at Morris Arboretum returns again for a special holiday display. The festive holiday display at Longwood Gardens, which opened on Thanksgiving Day and is continuing through January 7, features spectacular lights, lavish decorations, holiday music and colorful displays featuring thousands of brilliant poinsettias, brightly-decorated trees and fragrant flowers — all inside the heated Conservatory. “A Brandywine Christmas”, which runs now through January 7 at the Brandywine River Museum (Route 1, Chadds Ford 610-388-2700, www.brandywinemuseum.org), is an annual event that is fun for the entire family. Special events include “Carols Concerts” throughout December, “Children’s Christmas Party” on December 6, “Breakfast with the Trains” on December 9 and 16, “19th Century Christmastide” on December 9, and “Terrific Trains Family Program” on January 6. If you want to see a holiday show on stage, consider attending out the Barley Sheaf Players’ (810 North Whitford Road, Lionville, 610-363-7075, www.barleysheaf.org) production of “A Year with Frog and Toad,” which is running now through December 10. Waking from hibernation in the Spring, Frog and Toad plant gardens, swim, rake leaves, go sledding, and learn life lessons along the way. The two best friends celebrate and rejoice in the differences that make them unique and special. Part vaudeville and part make believe, “A Year with Frog and Toad” tells the story of a friendship that endures throughout the seasons. The production, which is directed by Deborah Young, has performances scheduled for December 1, 2, 8 and 9 at 8 p.m. and December 3 and 10 at 2 p.m. Tickets are $17 for adults and $13 for students (18 and under) and seniors (60 and over). Tickets sell out quickly so check with website before making plans. “Holidays at Hagley” is an event that is always one of the most eagerly anticipated holiday attractions in this area every year. The popular Brandywine Valley exhibit, which is included with regular admission, is running now through January 1 at Hagley Museum and Library (Route 141, Wilmington, Delaware, 302-658-2400, www.hagley.org). One of the best holiday events in the area is the annual “Yuletide at Winterthur.” This year’s 39th annual staging of the event, which runs now through January 7 at Winterthur Museum, Garden & Library (Route 52, Wilmington, Delaware,800-448-3883, www.winterthur.org). Revel in the beauty and warmth of the holidays as Winterthur explores treasures of Christmases past with displays of holiday traditions from the 1800s to the early 20th century, including displays of: the earliest types of colorful lights decorating house exteriors; a full-room scene of Clement Moore’s Christmas classic “A Visit from St. Nicholas;” the du Pont family holiday celebrations; and the evolution of Christmas trees over the decades from the 1880s to 1960s. In celebration of the exhibit “Royal Splendor: The Coronation Gown from The Crown,” which showcases the magnificent coronation gown worn on the popular Netflix series “The Crown,” the Yuletide Tour will re-create trees enjoyed by Queen Victoria’s family at Windsor Castle, inspired by a painting depicting the queen’s celebration in 1851. Special family activities include “Glass Matters Wine Seminar and Tasting” (December 13), “Brunch with Santa” (December 16, 17 and 23) , “Yuletide Jazz & Wine Concerts” (December 13 and 20), and the University of Delaware Chorale performing “Carols by Candlelight” (December 10). All of the Historic Odessa Foundation’s museum properties, collectively known as the Historic Houses of Odessa, are open and on display for the 2017 holiday season. Special events and tours will be held throughout the holiday season including “Candlelight Tours” at 7 p.m. on December 12, 14, 19, 26, and 28; “Festive Foods/Hearth Cooking Demonstration” on December 9, 16, and 23 from 10 a.m.-3 p.m.; “Children’s Holiday Tea Party” on December 10 at 2 p.m.; and “Curator Candlelight Tour” on December 21 at 7 p.m.
Just north of Chester County, several of Montgomery County’s scenic historic sites are already celebrating the 2017 Christmas holiday season. Pennypacker Mills (3 Haldeman Road, Perkiomenville, 610- 287-9349, www.historicsites.montcopa.org) is hosting “Victorian Holiday Tours” now through January 7 while “Twelfth Night Tours at Pottsgrove Manor” (100 West King Street, Pottstown, 610-326-4014, www.historicsites.montcopa.org) is also running now through January 7. Visitors to Peddler’s Village (Routes 202 and 263, Lahaska, 215-794-4000, http://peddlersvillage.com) can get in the holiday spirit at the Village-wide Grand Illumination Celebration. Village shops will be open until 9 p.m. with a distinctive assortment of merchandise, special promotions and refreshments. The Grand Illumination Celebration showcases thousands of tiny white lights outlining the Village’s buildings, colorful lights with less-than-common colors (teal, peach, and fuscia) adorning the trees and shrubs and a landscaped backdrop featuring a group of reindeer glowing in white light. By evening, one million twinkling lights will transform the Village into a winter wonderland. The Village is beautifully decorated, Victorian-style, with fruit wreaths and greenery, and there’s lots of live entertainment. 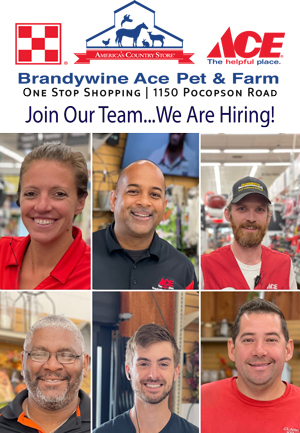 Shops are open 10 a.m.-9 p.m. on Saturday and 10 a.m.-7 p.m. on Sunday. Another holiday attraction at Peddler’s Village is the family-oriented Giggleberry Fair. The fair, which is a kid favorite, will be open through December 23. November 20 was the start of Peddler’s Village “Gingerbread House Competition and Display.” Slated to run through January 2, the “Gingerbread House Competition” features over $2,000 in cash prizes in such categories as Traditional and Authentic Reproduction of a Significant Building. A popular holiday attraction is America’s Garden Capital Maze at Dilworth Park (1 South 15th Street, Philadelphia, http://ccdparks.org/dilworth-park), a holiday-inspired Garden that was created in partnership with Greater Philadelphia Gardens and is part of the Center City Parks District. The 2017 Franklin Square Holiday Festival (200 North Sixth Street, Philadelphia, http://www.historicphiladelphia.org/franklin-square/holidays-in-franklin-square/) opened its season a few weeks ago and will run until December 31. Another “Totally Christmas” destination for families is the National Christmas Center (3427 Lincoln Highway, Paradise, 717-442-7950,http://www.nationalchristmascenter.com). Nestled in the heart of Pennsylvania Dutch Country, National Christmas Center Family Attraction & Museum takes visitors on a journey through wonderful memories of Christmases past and present, near and far. The attraction features 20,000 square feet of life-sized, walk-through, indoor exhibits that bring the holiday to life for all ages. It features 15 main galleries and numerous, ever-changing smaller exhibits. Admission is $12.50 for adults and seniors and $5 for children. Visitors to the Center can also buy combination tickets for the “Christmas Magic Lantern Show” at the Plain & Fancy Theater on Route 340 (www.magiclanterntheater.com). Here, they can enjoy a Victorian Magic Lantern Show with live Showman and their favorite Christmas stories projected onto the big screen with an authentic 1890 magic lantern. Attendees can step back in time and become part of a Victorian family’s traditional Christmas Eve celebration. The family is very excited as Grandpa tells fabulous Christmas stories with the help of the amazing Magic Lantern. The Showman presents iconic stories and poems like “The Night Before Christmas,” with stunning visual images, heartfelt music and legendary storytelling. And the power of the Ghosts of Christmas Past, Present and Future will come alive as he uses his spellbinding talents to weave the story of Scrooge’s miraculous transformation in Charles Dickens’ classic tale “A Christmas Carol”. Tickets are $16.96 for adults and $11.95 for children. The Rainbow Comedy Playhouse (3065 Lincoln Highway East, Paradise, 800-292-4301, www.Rainbowcomedy.com) is presenting its holiday production “Guess Who’s Coming to Christmas?” now through December 30. Matinee performances are every Tuesday, Wednesday, Thursday and selected Saturdays with an 11:30 a.m. lunch and a 1 p.m. curtain. Evening performances are every Friday, Saturday and selected Thursdays with dinner at 6 p.m.
Bethlehem, which is known as the “Christmas City,” presents Christkindlmarkt Bethlehem (PNC Plaza at SteelStacks, 645 East First Street, Bethlehem, 610-332-1300,http://www.christmascity.org) every Thursday, Friday, Saturday and Sunday now through December 18.